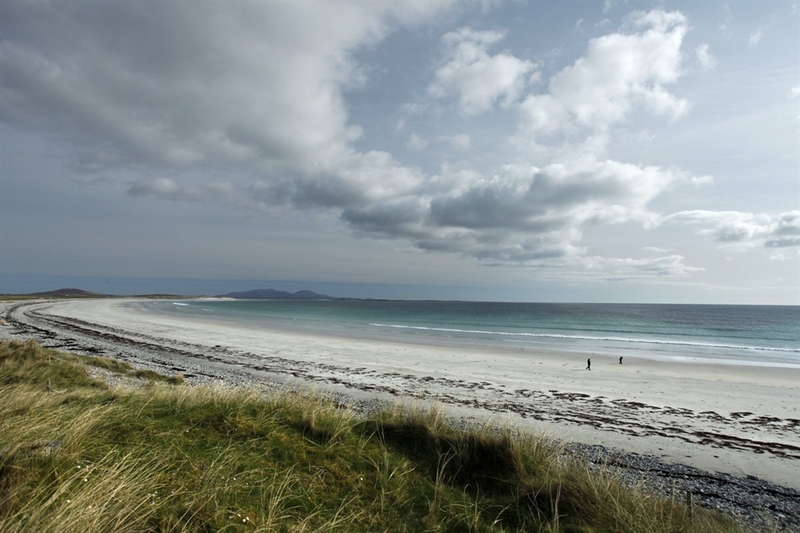 North Uist is characterised by its 'drowned landscape' of peat bogs and lochans, and its string of bountiful beaches. Visitors arrive by ferry at Lochmaddy, once a major herring fishing port. 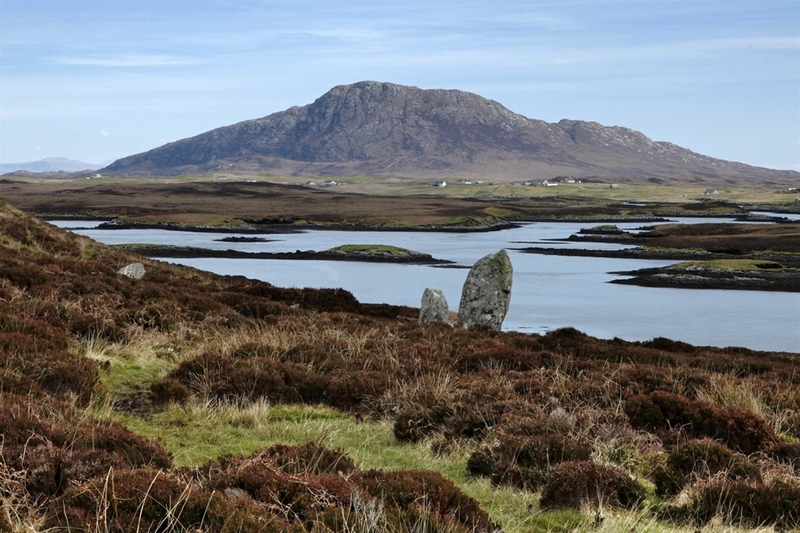 There are several prehistoric sites nearby, such as the huge chambered burial cairn of Barpa Langais. 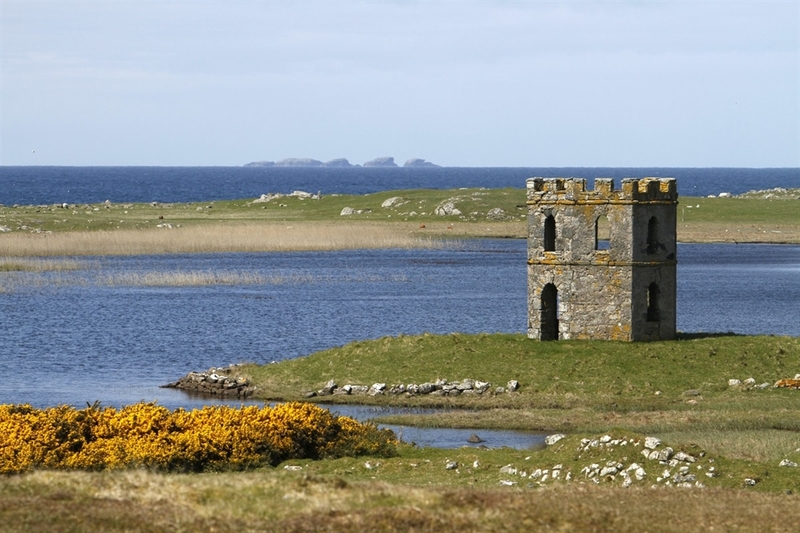 Wildlife abounds amongst the island's unusual landscape of tidal strands, lochans, bogs and flowery machair. Otters enjoy the peace and quiet, which is broken on summer nights by the rasping call of the male corncrake - one of Britain’s rarest birds. They are easy to hear, yet notoriously difficult to see. Every year around 9,000 grey seal pups are born on the Monach Islands off the west coast of North Uist, the largest breeding colony in Europe.